Hemp Bombs Vape Tank Cartridges are the pre-configured solution for vapers looking to incorporate CBD into their routine. Vape Tanks are user-friendly and don’t require the maintenance of other vape devices. Simply attach the universal 510 thread to a vape device to begin use. Order yours and start enjoying Vape Tank Cartridges right out of the package. Cartridges are made of quality durable glass, not plastic. The calming effect of these is a great help to my anxiety. The quality of the cart is not so much. I’ve bought two of these now the first one developed a massive leak about 2/3 the way through and the second one seems like you aren’t getting very much vapor. You should sell this stronger stuff in bottles so people can choose the type of cart that works best for them. Wonderful – I’ve never smoked or anything so this was WAY NEW to me. After I figured out the mechanics of this, I love it. 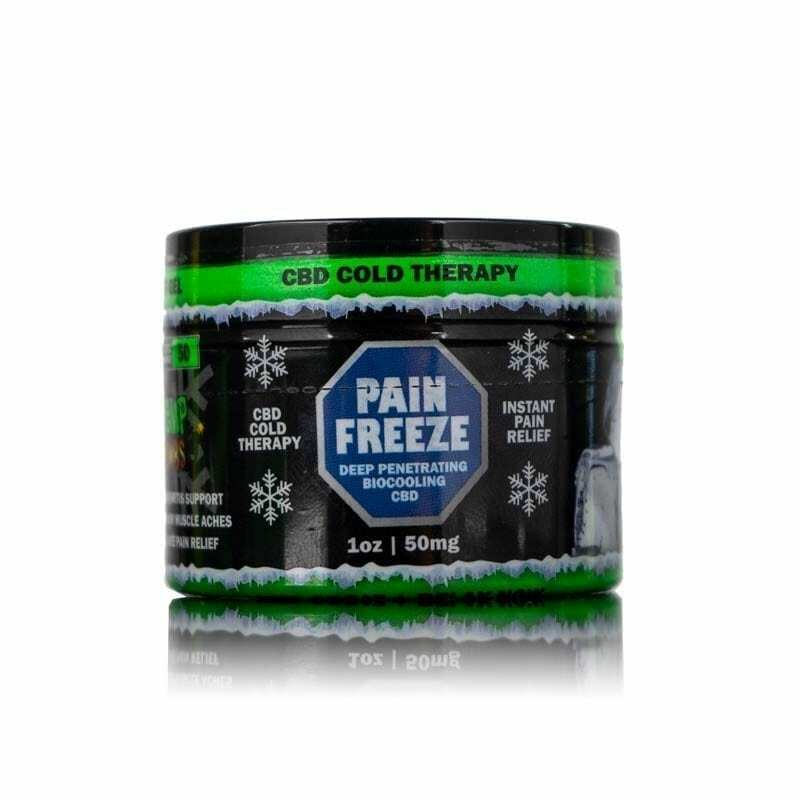 Helps with aches and pains, anxiety / stress, and nice for getting to a sound sleep. I bought the watermelon kush cartridge it tastes really good. A few puffs while reading in bed and I fell asleep with the book on my chest. I slept so well! 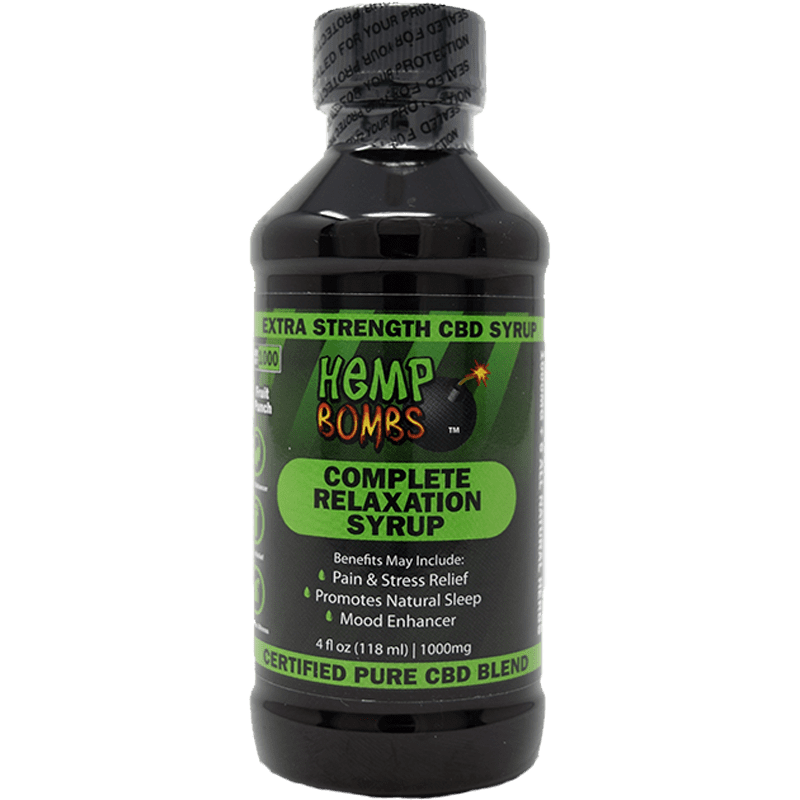 I’ve used a few different CBD companies so far and I’m glad to have tried these guys. If you battle with anxiety and/or have issues falling asleep definitely give this product a try! Really relaxes me at the end of the day so I can sleep better at night. I will be ordering again. This came quickly in the mail. I tried it same day. Loved it. Thanks. Loved the Pineapple flavor. I just ordered another. Blueberry is good. Never vaped before so I was skeptical. Suffer from arthritis, anxiety and chronic fatigue syndrome. Been using kratom but fda is all over that and seizing shipments. Into the US. This stuff works!! I can sleep better, aches are better, all over I just feel much better. Tastes good and it’s co2 made and certified. No nasties in it. Good price too. Ill probably notch up to 300 mg.
Watermelon is the BOMB… This helps with my GAD. I’ve been super-happy with this product. It’s really helped me manage my anxiety better. The Sugar Cookie Kryptonite is delicious, but DO NOT get the Vanilla Cupcake Swirl. Awful flavor, tastes like burning chemicals. 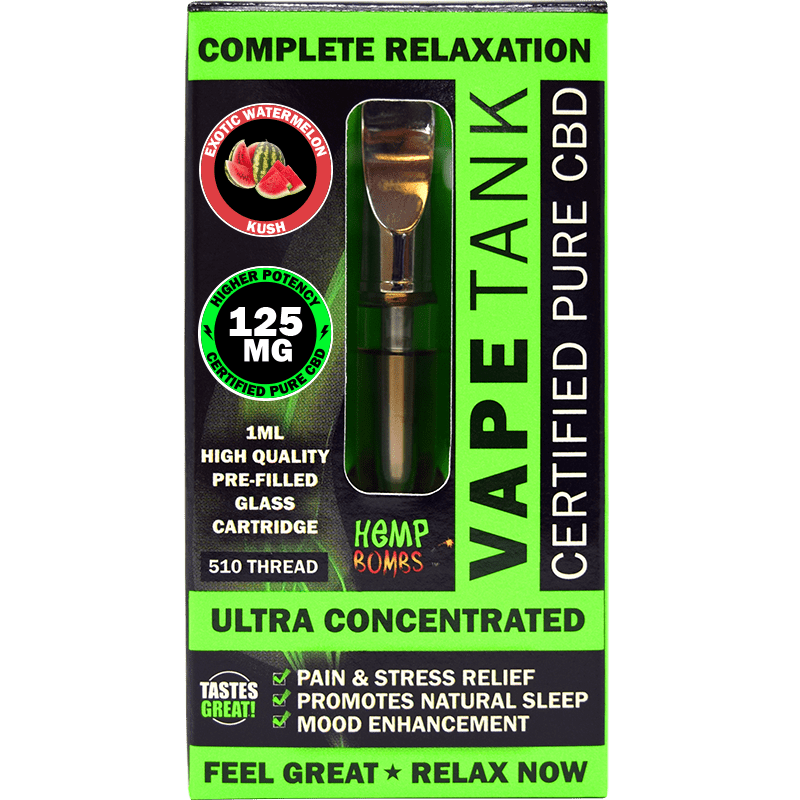 I always wanted to try the cbd vape products, but i never got around getting an actual vape thing itself. i felt like it was not worth it. so recently i decided to get a small battery to match with this tank. one of the bets decisions I’ve made so far. this is a product for people who don’t have a full sized vape, or are just into more compact and slick vaping! Satisfied with the service and shipping was fast as well! Impressive, Hemp Bombs, Impressive! It really does taste like a chocolate donut! Good stuff. Just bought 3 more with my coupon code, love em. Huge fan of the chocolate glazed donut vape. I take it with me wherever I go and it helps calm my social anxeity. Thank you! These cartridges are awesome. By far the best deal you can get on a cbd cartridge that I’ve found so far. I have a high tolerance so I was a bit worried the 125mg cartridge wouldn’t work. But after a few hits I’m completely relaxed! I’ve tried the Wild Blueberry Jam because reviewer’s recommended it. It is delicious! Not too sweet. I just got my second one today. It is the new Sweet Mango Seduction and it is very tasty. Make sure y’all read the description before you make any purchase. It says clearly that it does not come with a battery. I got the strawberry milk one but was leaking which i told costumer service and they we’re really nice and sent a new one right away! I’m pretty much through mine now and it was really good!! It really taste like strawberry milk would def order again!!! Backache everyday..started this yesterday in watermelon flavor. Print so small on pen that I can’t read directions well. can I get larger print on here on how many clicks to work it right. anyway back feels 100% better today..
Where do u get the batteries from of it isnt included. I suffer from chronic pain and it really helps to relieve the pain. My PTSD always gets into the way but I tried out this product and I couldn’t be happier. I used to take anti-depressants for years but I think I found the perfect product for me. I’ll need to order more. I never vaped before but my boyfriend bought me this one to try in wild blueberry jam and I lobe it. It’s so smooth and relaxes right away. I cannot wait to try other flavors. i may be a hemp bombs shopaholic because i decided to buy this item without really knowing exactly what it is!!! lol. the good news is i found out how to use it and now i love to vape. if youre curious about vape products, i recommend starting with this. i have bad anxiety and can’t handle too much to honest but this really bring me down. 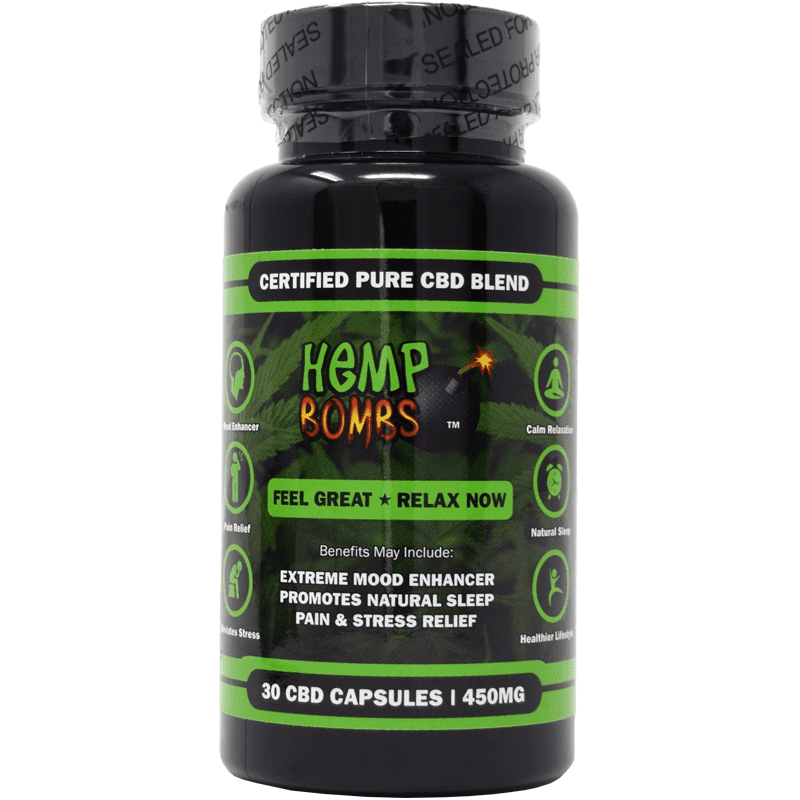 i’ve used other cbd products but this one if fun to use, it still has the benefits where it calms me down so i don’t have a panic attack. plus its just relaxing to use. There is no info on website nor packaging to indicate what voltage or wattage to run these tanks at…two puffs later and coil is fried, tastes terrible, and wasted $30. 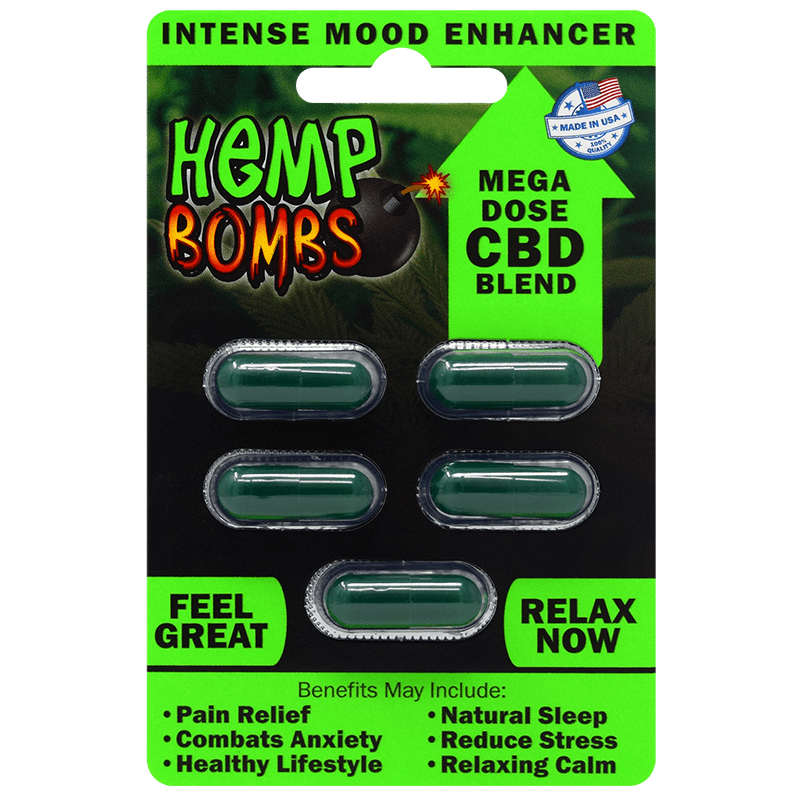 Why would hemp bombs not put that obviously critically important info on packaging or website??? These tanks are awesome! My boyfriend, and I enjoyed them plus the flavors are fantastic. Watermelon is the best so far! Awesome product. Keep up the good work. I’m loving the tank so far. I’ve been using it now for a couple days and I have no complaints. SCORE! Just arrived today and I couldn’t be happier. Very convenient. There’s no reason not to do this, you’ll ultimately be saving money. Thanks! ordered 2! i ordered farm fresh strawberry milk and crisp honeydew melon. i cant wait to try it out. I heard you guys were going to be coming out with these. I just ordered mine. Got your email special on these vape tanks today. Ordered 5 flavors and saved 20%. You guys rock. Thanks Hemp Bombs!